The Science Behind Essential Oils: Are You Using The Right Ones? 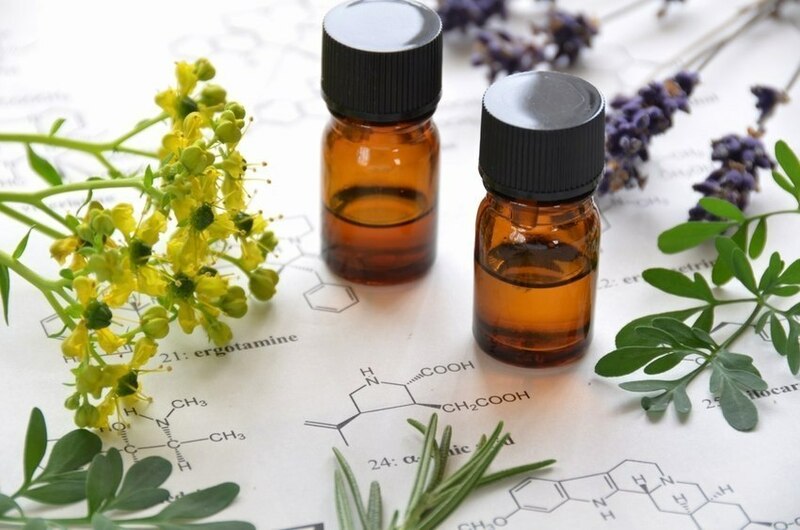 Scientific research has revealed that essential oils possess myriad beneficial phytochemical properties: anti-inflammatory, antidepressant, anti-stress, antioxidant, antimicrobial, and analgesic, but their ability to influence human potential isn't limited to psychophysiological effects. Aromatic essences have also been used for centuries to create a more meaningful connection to something bigger than ourselves, and, indeed, may place us in a state more receptive to inspiration.Spirituality is a universal human experience that connects us to or brings us into greater harmony with the present moment, to self, to our fellow man, to nature, or to the divine. Many find that spirituality is intricately associated with religion while others consider it a separate and broader concept associated with behavior, emotions, and philosophies that involve the search for transcendent meaning. Beyond the religious aspects of spirituality, it involves the ability to discover meaning and purpose in life, moral and ethical principles to abide by, and a deep relationship with something bigger than one’s self. The use of aromatic essences and the burning of incense (aromatic resins and gums, such as frankincense and balsam used to create scented fragrances for specific applications) has been used in spiritual pursuits for as long as we have a record of them. In ancient Egypt, incense was burned as an offering to the gods. Large quantities were burned every day in temples throughout Egypt. The Bible contains many references to the burning of incense as an integral part of sacred ceremonies, and the precious aromatic botanicals frankincense and myrrh were offered to the Christ child by wise men. More than a dozen aromatic botanicals are referenced in the Old and New Testament books of the Bible, many of which are distilled into the essential oils we still use today: aloeswood, calamus, cassia, cinnamon, cistus, cypress, fir, frankincense, galbanum, hyssop, juniper, myrrh, myrtle, onycha, pine, saffron, sandalwood, and spikenard. Similarly, the ancient Romans, Greeks, Persians, Indians, and Chinese all used aromatic essences for a variety of purposes, including religious rituals. Some religions continue this practice of using aromatic botanicals during religious services, at temples, before household altars, and to purify and protect. Nowadays, some people use essential oils to open the mind, enhance spiritual connections, and invite inspiration. They do so by inhaling an essential oil while meditating or through direct application of essential oils to the body (i.e., the crown of the head, base of the skull, or over the heart). Essential oils are volatile molecules obtained from the seeds, leaves, bark, resins, and other materials of nature’s most generous botanicals. They have been used to support optimum wellness and enhance human potential for hundreds of years. One of the most remarkable aspects of essential oils is their ability to simultaneously influence one’s physical, mental, emotional, and spiritual health. In this way, essential oils are uniquely qualified to produce dramatic results that other remedies can't replicate. Pioneering researchers are beginning to unlock the powerful influence the aromas of essential oils have on brain-wave activity. Increasing theta brain-wave activity is a preferred state for meditation because it heightens receptiveness and provides access to knowledge and information that is normally beyond conscious awareness. According to a study published in the May 2011 edition of Flavor and Fragrance Journal, inhalation of Siberian fir needle essential oil for 40 minutes promoted a more relaxed state and increased theta brain waves. Other essential oils that remarkably influence brain-wave activity include frankincense, balsam fir, copaiba, and lavender essential oils. In another way, essential oils may indirectly improve spirituality by removing obstructions that hinder its full potential. For example, negative emotions have the potential to harm spirituality. Essential oils release molecules into the air that interact with the nervous and endocrine systems in such a way as to dramatically alter the release of hormones and neurotransmitters involved in mood, memory, emotions, and cognition. Lavender, lemon, and rosemary increase serotonin. Serotonin is a key neurotransmitter that can trigger a feeling of being in a utopian environment, profoundly influences mood, and relays signals from one part of the brain to another. Lavender, ylang-ylang, and bergamot moderate cortisol. Cortisol, a hormone produced during periods of stress, accelerates cellular aging and significantly alters normal functions to bring down your overall health. Lemongrass, citronella, and white verbena promote GABA. GABA is a calming neurotransmitter that regulates anxiety and encourages centering. Clary, sage, clove, and lemon produce endorphins. Endorphins are the neurochemicals responsible for producing an overall sense of happiness and well-being. Essential oils can lessen the negative effects of chronic pain and discomfort as well. Physical pain and discomfort can quickly lead to an overwhelming sensory and emotional experience that dulls the spirit. Indeed, spiritual pain—pain and distress caused by an inability to find sources of hope, meaning, love, and peace during life circumstances that conflict with deeply held beliefs—can be an incredibly disruptive pain in and of itself. Inhalation of calming essential oils (lavender, chamomile, and orange) can reduce one’s response to pain, and topical application of analgesic essential oils (peppermint, wintergreen, and spruce) can provide much-needed, soothing relief. Interestingly, scientific research suggests that persons who consider themselves religious are less likely to have chronic pain and fatigue when compared to persons who consider themselves spiritual but not affiliated with regular worship attendance. This research published in the September/October 2008 edition of Pain Resource Management concluded that people who regularly attend religious services are more likely to use positive coping strategies and experience less chronic pain. Angelica, anise, balsam fir, cedarwood, cypress, eucalyptus, juniper, lemon, lemon tea tree, myrrh, opoponax, peppermint, spearmint, and white sage. Balsam fir, cedarwood, cinnamon, cypress, gurjun balsam, mastic, palo santo, pine, sandalwood, spruce, and vetiver. Agarwood, balsam fir, cypress, elemi, frankincense, guaiacwood, guggul, myrrh, palo santo, sandalwood, spikenard, and Western red cedar. Cassia, cinnamon, balsam fir, frankincense, ginger, lavender, myrtle, pine, sandalwood, and spruce. From a holistic perspective, it is impossible to affect one aspect of your health (physical, mental, emotional, and spiritual) without influencing the other areas. Spirituality is a vital aspect of overall well-being that cannot be neglected for those who seek peak vitality. Essential oils may be what you need to take your holistic health to the next level.